You receive a bonsai as a gift for Christmas or for your birthday. You love it and want it to care for it well and keep it growing strongly. However, despite your best efforts, it begins to yellow and/or the leaves begin to fall off and pretty soon all you have is a dead plant in a pot. Here is a bit of information that may help you avoid this scenario, or in the least, help you to make a more successful second attempt. What Species is Your Tree? Green Mound juniper – Green Mound juniper (Juniperus procumbens ‘Nana’), also known as Procumbens juniper and Japanese juniper. A fair choice for beginners. Grow outdoors only. Chinese elm – Chinese elm (Ulmus parvifolia), also known as Chinese Zelkova or Zelkova. A very good choice for beginners. The name ‘Zelkova’ is a misnomer, as the ‘Zelkova serrata’ is a different species with different care requirements. Grow outdoors. Japanese maple – Japanese maple (Acer palmatum) is a good choice for beginners. Grow outdoors only. Serissa – Serissa (Serissa foetida) also known as Tree of a Thousand Stars and Snow Rose. A poor choice for beginners but commonly sold as a beginner’s tree. 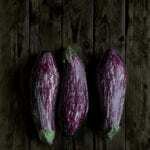 Grow outdoors in summer and keep from cold in winter. Ficus – Ficus trees (Ficus benjamina, Ficus nerifolia, Ficus retusa, etc…), also known as Banyan and Willow Leaf fig. A good choice for beginners. 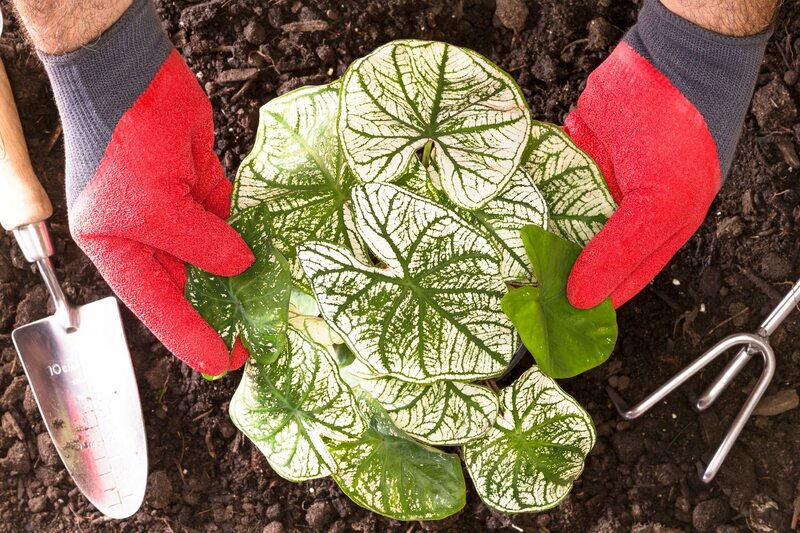 Grow outdoors in warm months and keep from cold in winter. Yes, your new bonsai will look very nice there on the kitchen window sill or on the coffee table (a bad location), but bonsai are trees, and trees are outdoor plants. Unless your bonsai is a Serissa (a poor choice) or a Ficus, keep them outside as much as possible. 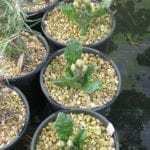 There are a few more species for bonsai which will tolerate indoor cultivation, but none of them really thrive indoors and all will have more pest problems there. Most will simply die. 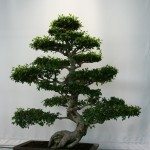 Leave indoor bonsai cultivation alone until you have put in a few years of study and successful growing outdoors. Over-watering is responsible for more bonsai deaths than any other factor. The soil should be allowed to dry out a bit between waterings. A basic rule is to let the soil get somewhat dry halfway into the depth of the pot before you water again. When you do water, water thoroughly — two or three times to fully soak the soil. Many of the bonsai plants found at places other than real bonsai nurseries are sold with the soil covered by a hard layer of glued pebbles. Remove this as soon as you can! This layer will prevent water from reaching your soil and will kill your tree. You can remove it by submerging the pot in water for 30 minutes or so and then using either your fingers or pliers to remove the now soft layer of pebbles. Bonsai sold with these glued together pebbles are often of very low quality and health and may die anyway because of the fact that most have few or no roots. Unless your tree is tropical, it needs a winter’s sleep in the cold. 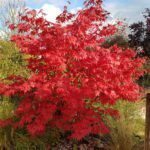 Deciduous trees, like maples and elms, will drop their leaves and may look dead, but if kept properly, will sprout out with a beautiful new flush of leaves in the spring. Conifers, like juniper and pine, also need this cold rest. Don’t feel that you have to bring them inside for the winter or you will likely lose them. Most merely require that you protect them from sub 20 F. (-6 C.) temps and drying winds. Read up on the care requirements for your tree’s species so that you know just how to handle winter with your bonsai. *Tropicals DO need to be protected from temps below 55 – 60 F. (10 – 15 C.) and you may need to set up special quarters for them to keep them at the right temperature and humidity level indoors during the cold months. Like all plants, bonsai need fertilizer to stay healthy. You should only fertilize bonsai, however, during the growing season and not during winter or late fall. The basic time for feeding is from late spring through early fall. There are many kinds of fertilizer and many different schedules to follow, but a basic regimen can be to use a balanced (10-10-10 or something similar) plant food (follow the dosage directions on the package) once a month during the warm seasons. Know that over-feeding will result in a dead bonsai. …and not from a mall kiosk or roadside vendor. Make a point to purchase bonsai only from someone who will be there next month and next year and who can offer you care advice, and from whom you can purchase other supplies. The quality and health of the trees from these places will usually be far better than those from “bonsai stands” or fly-by-night vendors.